The 2015 Ford F-150 is the first full size pickup truck with an aluminum body. Aluminum made the F-150 drop weight, nearly 700 pounds on some trims, which increases towing capacity, fuel economy, and performance. Naturally, you'd think the success of the aluminum would then extend to road cars made of the material. Not so, says Joe Hinrichs, Ford's President of the Americas. While the next Ford Super Duty trucks will be aluminum and parts of cars (like the Mustang) are made of it, the gains aren't as prevalent in cars as they are in trucks. One of the big benefits you get from light-weighting ... you can tow more and haul more. You don't get those same benefits to a customer on the car side. Truck buyers will pay for more capability, car buyers will pay for better fuel economy, but there's other ways to get fuel economy in a car without the need to provide more capability. That said, Ford is looking to put all of its vehicles on a diet, and if it doesn't come through a more widespread use of aluminum, it could come from carbon fiber, another material Ford is investigating. 2nd Gear: Could There Be A Baby Bentley SUV? The Bentley SUV, which is now officially known as the Bentayga, is coming soon. What is interesting is that the company that once said it'd never make an SUV is now considering a baby brother to the SUV that isn't even for sale yet. Like any smart automaker, Bentley is watching what is going on with competitors like Land Rover and their model strategy for Range Rover, which would be Bentley's most direct competitor in the space. Of course, this is all years off, with the Bentayga not even expected to break cover until the end of 2015. Look for more Bentley off-roaders in the years to come. Google wants you to ride around in its little driverless pod car things. Isn't that nice? But, in order to build them, they are partnering with a number of companies in Michigan, including some that you'll be very familiar with. The little pods are being assembled in Livonia by Roush. Yes, the people who supercharge your Mustang are also building a little pod to ride around in. Talk about opposite ends of the spectrum. In addition, Google has partnered with ZF, Continental, Bosch, and LG, among others. It's a truly international effort, but a lot of the work is being done in Detroit. 4th Gear: How Many Teslas? Elon Musk knows that he has a bit of a reputation of over promising on goals that he's set for Tesla, so take this next goal with a grain of salt. Musk was quoted as saying that even though Tesla makes 40,000 cars now, he believes that the company will be selling "millions" by 2025. Millions. He also said that the company might not be profitable until 2020, the year that Musk says Tesla will be selling 500,000 cars a year. Basically, Musk's goal is to have Tesla be as big as Fiat-Chrysler by 2025, since they sold two million cars last year. McLaren sold 1,648 cars in 2014, a record for the brand from Woking. McLaren made mention of the P1 as part of what helped, but they only sold 248 P1s. The rest were the brand new 650S and a few leftover 12Cs. No matter what, well done McLaren. Well done. On January 15, 1936, Edsel Ford, the son of auto industry pioneer Henry Ford, forms a philanthropic organization called the Ford Foundation with a donation of $25,000. The foundation, which was established in part as a legal way for the Ford family to avoid the hefty inheritance taxes that President Franklin D. Roosevelt's administration imposed on large estates, grew into a multi-billion dollar institution that today supports programs in the U.S. and over 50 other countries around the globe for the purpose of the "advancement of human welfare." 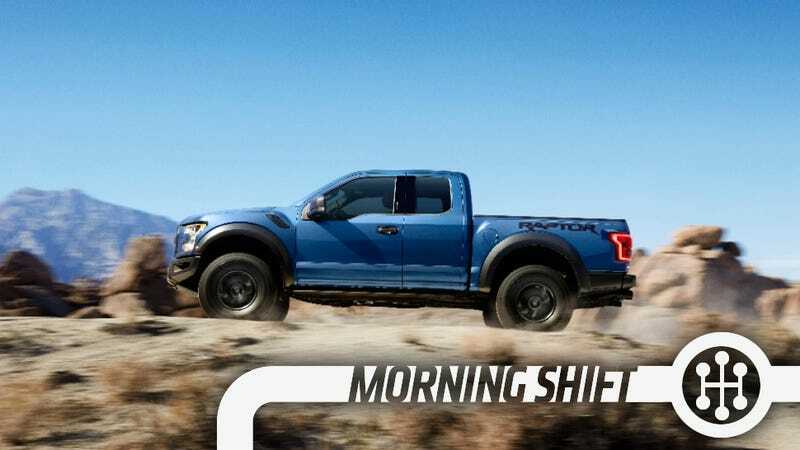 Is Ford missing an opportunity by not making more cars out of aluminum? Is that short sighted?